Auditions for church choirs in SoCal! Are you part of a talented church choir who knows how to bring it? Here is an opportunity to showcase your church’s talent and possibly even get some cash for your church. 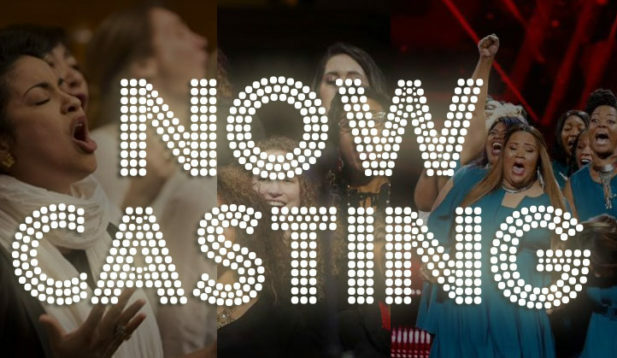 The producers of Welcome to Sweetie Pie’s are now casting a live showcase for a new competition TV show starring the most talented church choirs and singers in America! To kick off the show, we are looking for two churches from Southern California to perform in a fun and spirited singing contest for an audience of television executives from the biggest networks in Hollywood. Nominate your church choir AND talented soloists of all ages (including kids and teens) from your congregation today! This exciting talent expo will take place in the Hollywood area this Christmas season (during the first or second week of December, 2018). Producers will provide a cash donation to each participating church, ground transportation to and from the showcase for the singers, and meals on the day of the event. More importantly, everyone involved will be considered for participation in the TV show itself! Does your church have what it takes? To apply, email BestChoirCasting@gmail.com with the name of your congregation, your location, a phone number and a brief description of why your church would be a good fit for this showcase OR fill out the form below!